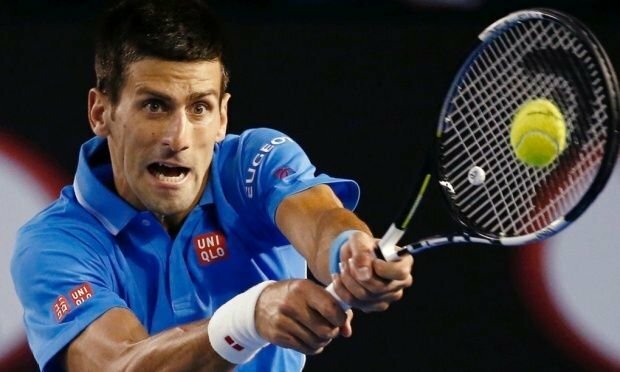 NOVAK DJOKOVIC BEATS MILOS RAONIC 7-6, 6-4, 6-2! Djokovic wins the first point. He wins the second, even though he needs a helping hand from HawkEye. He doesn’t win the third, a forehand failing to get over the net, but he does win the fourth thanks to an ace. He’s got two match points. He double-faults - ! - on the first, but it doesn’t matter, it was only a momentary lapse, because the second is taken with a stylish backhand volley.